Our mission is to provide you with an app that is truly useful for your business. A one-stop shop that includes a range of practical tools that will cover all your events staff management needs. Regardless of the size of your events, Ubeya makes it possible to quickly schedule your staff. 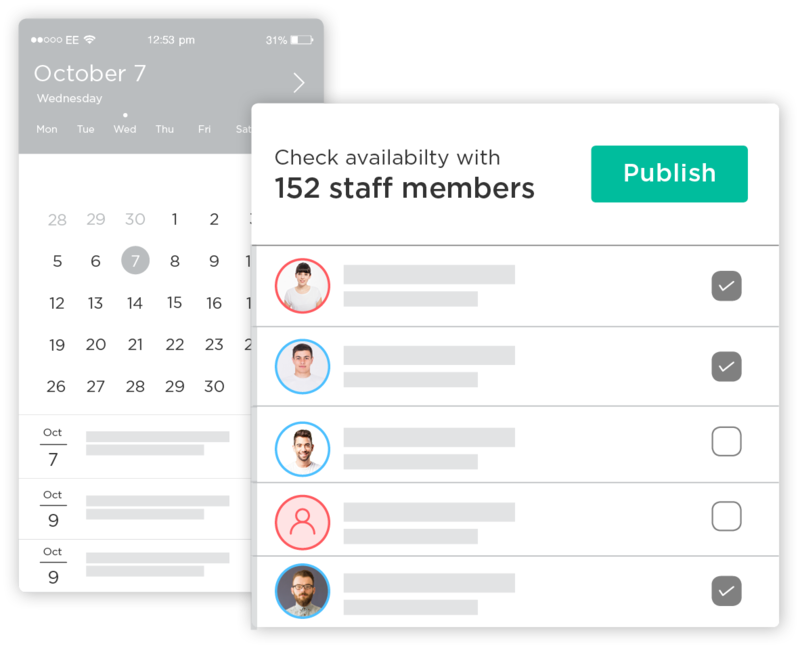 Directly through the app you can share shifts with your your staff, check their availability, and book your team in an instant. 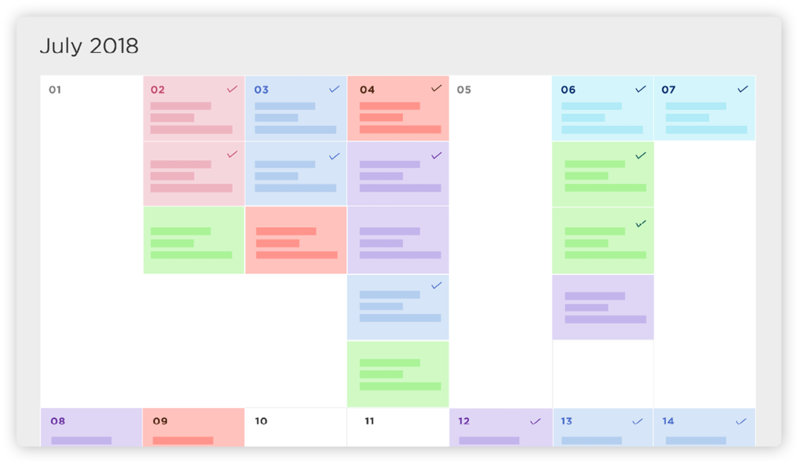 Manage numerous events at once and maximize the potential of your business. 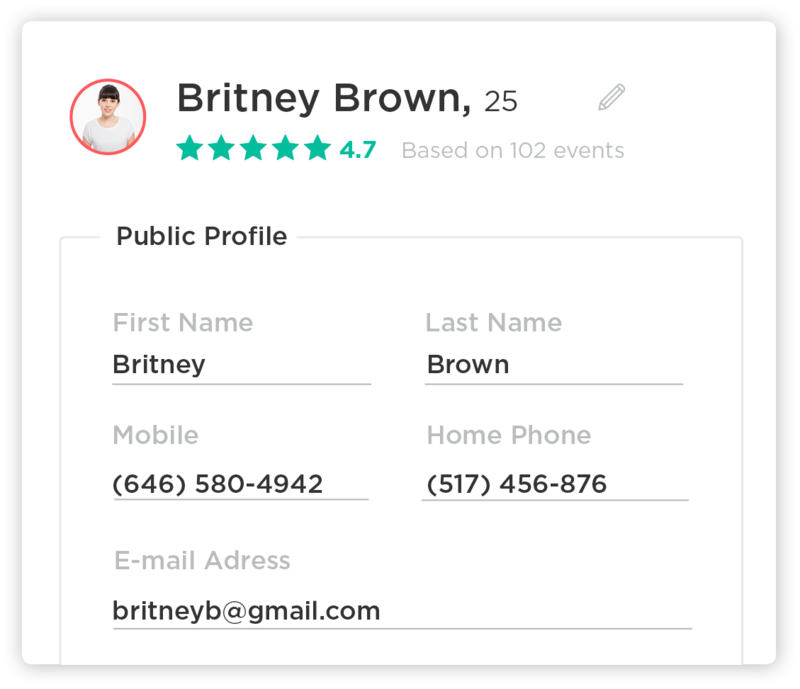 All of your staff is segmented in one place with all the information you need, including their personal details, history of events work, photo galleries, documents and more. Keeping track of time for your event and staffing assignments can be a pain. 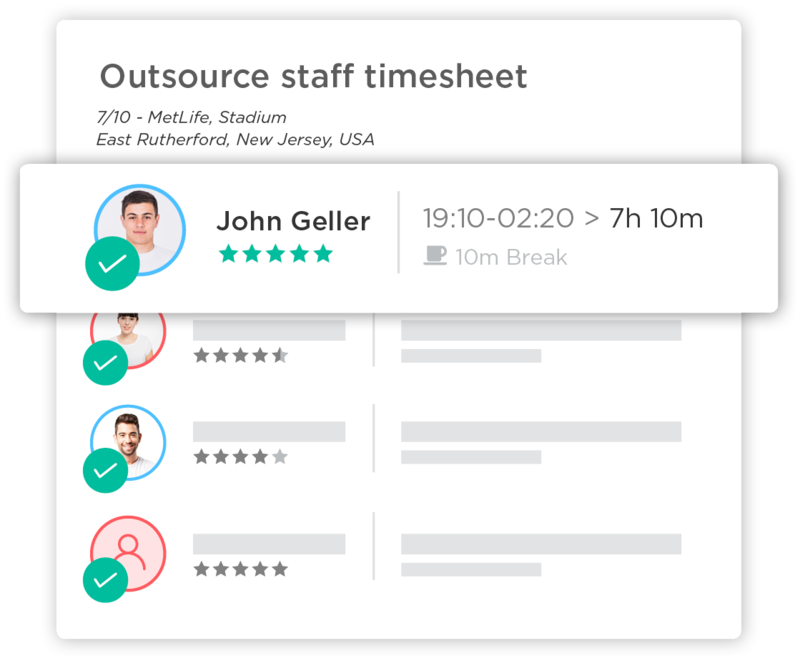 Forget the paper timesheets and let Ubeya take away the headache. Our built-in time clock allows your staff to clock in and out of work from a portable and integrated platform. Forget the unanswered phone calls, missed emails, or late texts. 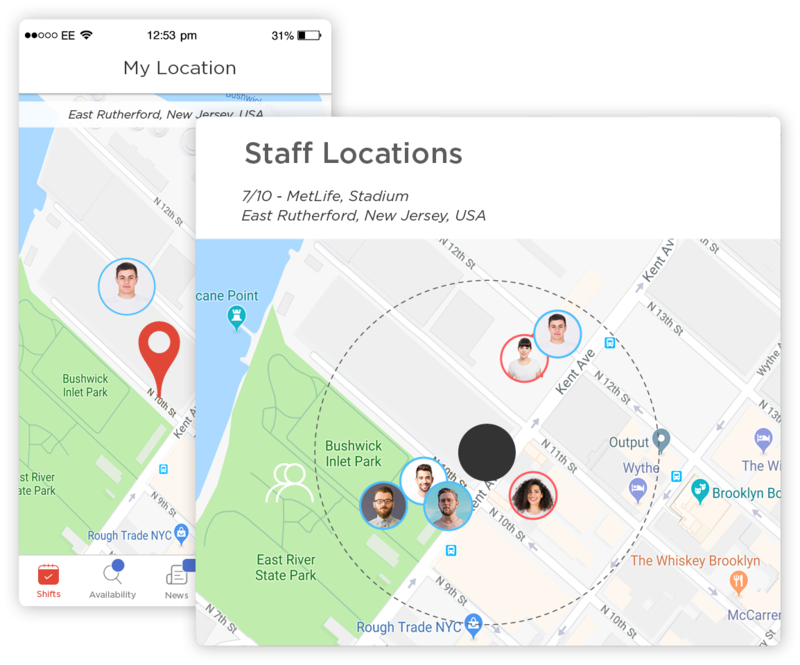 Communicate with individuals, groups or your team anywhere and anytime from a single platform. Ubeya’s chat feature includes broadcast messages and private chat options to keep in touch with your staff at any time. 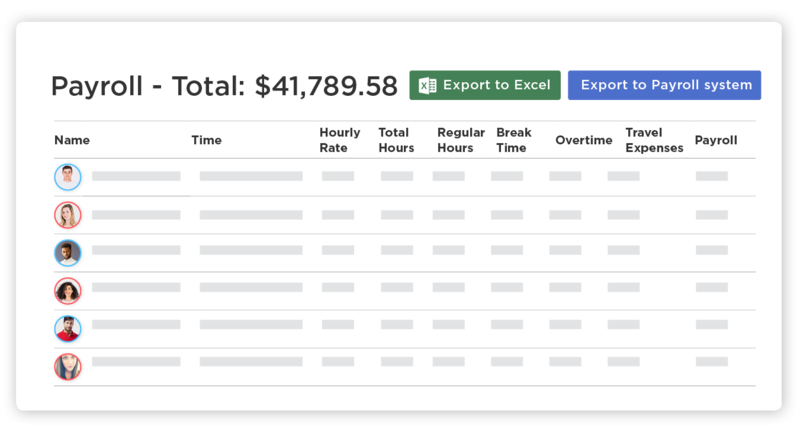 Get accurate payroll reports based on your staff's salaries and work performance. Ubeya has been adapted to the events industry and provides you with breakdowns of your events and their costs, exactly the way you need. Order and hire additional staffing resources to meet your onsite needs at the touch of a button. Ubeya provides you with direct access to additional staff with experience and expertise.